How to check Provident Fund (PF) Balance with UAN number and without UAN number. 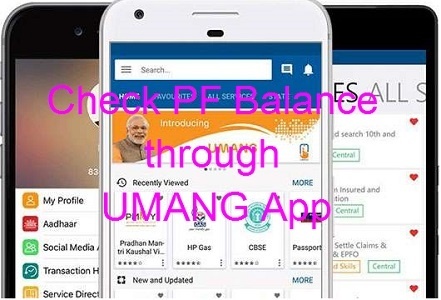 How to Download UMANG application for PF Balance. Know your Provident Fund Balance/ PF Balance through SMS, Missed Call/ UMANG App. 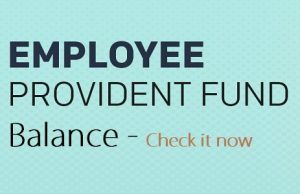 PF amount is the amount that a employee saves during his work where certain sum of amount will be contributed by the employer and certain amount from the employees salary. The main reason why people feel happy is that the PROVIDENT FUND will be helpful for them to engage their lives after they leave the employment. People often wanted to check their PF account balance. You can check your balance whenever possible and those who don’t have UAN also can check their provident fund with the information provided in this article. This article will help all those who have and also who doesn’t have UAN number. Here are the steps that will help you to get information. Go to any search engine and type epf india gov. Open the web portal of epfindia.gov.in and in that page you will find ‘Our services’, from Our services, click on ‘for employee’ option. After for employees dialogue box opens, click on services in that page. Under the services option click member passbook. Once you opened the member passbook page, you need to fill in certain information like your UAN number, password and finally enter the given captcha. If you provide the correct information then a new web page opens, wherein you need to click view passbook option, then you will be able to have a look at your passbook which contains all the information regarding your account like balance, breakup details, employee share and employer share and many more. You might be thinking it may not be possible to check your PF account balance , but you can easily check your account balance by following the below steps easily. For enjoying this service your UAN number needs to be registered with EPFO, you need to send an SMS to 7738299899, type EPFPHO UAN ENG in the message box and sent it to the number mentioned. For availing this option, you need to be registered under UAN portal and submit your KYC details. You can know your PF account details by giving a missed call to 011-229014016 and know your account information. This is one of the government initiative taken up under the process of digitization of India. UMANG is an application that has all the government undertaken schemes information. After opening the application click on EPFO and select Employee centric services option” and enter EPF universal account number. Then you will get an OTP to your registered mobile number and then you will be able to login to your PF account using that OTP.